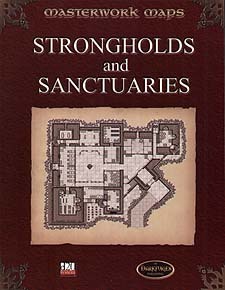 Fully Illustrated Medieval Fortresses with colorful characters, rich background, nasty traps, and adventure plots to challenge heroes and villains of all roleplaying campaigns. "Worship whom you will. Respect those you must. Crush those you can. But know that this is my domain." "The highland fortress is a shadow over all it surveys. Something evil and unnatural dwells within those ancient walls, and devours fools who think it doesn't exist." "The lagoon is a sacred oasis and I am its keeper. The souls of the ocean's children rest here, and a storm's fury shall unleash upon those who come here with malice in their hearts."